PHOTO: Hi 5! 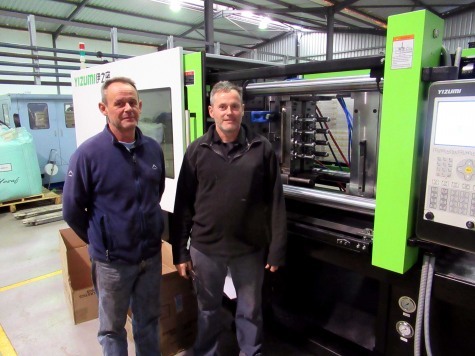 – The Edwards brothers, Nick and Jonathan, of Concept Moulding with the new True Easy blow moulding machine commissioned at their Howick plant recently. Concept is using the machine for the production of 5-litre PET containers. THE Edwards brothers of Concept Plastic Moulding of Howick, KZN, have recently commissioned their biggest blow moulding machine yet, a True Easy system from China which can manufacture containers up to five litres. Part of a capacity expansion project, Concept also recently commissioned two new Yizumi machines (120 and 260-ton systems), giving it the opportunity to increase production of both preforms and closures. An 8-cavity preform mould for 5-litre PET containers was also supplied as part of the project by Dave Moore of Mouldbase SA, the Yizumi agent. 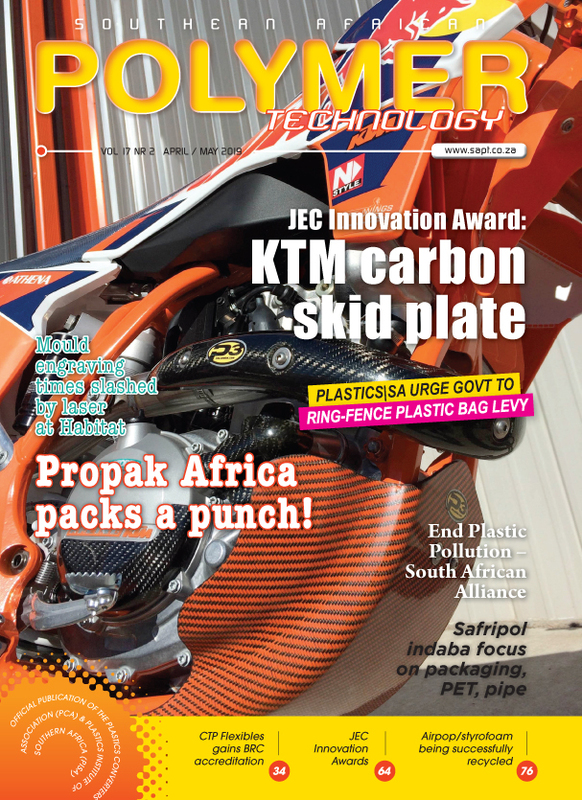 Both toolmakers, the brothers – Nick and Jonathan – previously operated separate toolrooms in in Maritzburg, with a bit of injection moulding on the side. But five years ago they decided to start Concept and moved from Maritzburg up to Howick, where the business was set up in 2013. Concept is an integrated converting operation offering injection and blow moulding, with one of the main advantages being that they can make their own moulds. This did prove to be the case and they were soon moulding for a number of brand companies. The early reward for the brothers was a Gold Pack Award in 2015 for the ‘Hey Brew’ café latte flavoured milk beverage for Woolworths. The cup featured a non-spill fixed lid, allowing the coffee to be heated and consumed directly from the pack. The design has since been changed, with Concept managing the design transition too. Concept has, possibly wisely, skirted the challenge of building multi-cavity preform moulds – that being the preserve of a number of high specialised toolrooms in China, particularly. The positioning in the KZN Midlands town has proved more suitable as it’s enabled Concept to be in closer proximity to its main clients.